Grab a box of tissues and a pint of Ben & Jerry's because we're about to take a deep dive into Adele's "Hello" lyrics. Of course, the singer is the queen of heartbreak ballads (cough, "Someone Like You"), so it's no surprise that her glorious return to music is in the form of a heart-wrenchingly perfect song that will leave you emotionally gutted for days. Oh, the paradox of being an Adele fan. Naturally, the new single is setting records all over the place. Not only was "Hello" the first music video to be shot with IMAX cameras, it casually shattered the record for most VEVO views in 24 hours. And this is one song from the upcoming album 25. There's no telling what records will be crushed when the full-length project graces our iTunes later this year. In an interview with Nick Grimshaw (via the Mirror), Adele elaborated on the song's themes of regret and nostalgia, saying, "... I felt like a lot of stuff in my life has changed and not at all because of my career. I found myself yearning for my past for no reason other than that it had gone. I missed elements of it, I felt all of us were moving on, and it’s not about an ex-relationship, a love relationship, it’s about my relationship with everyone that I love. It’s not that we have fallen out, we’ve all got our lives going on and I needed to write that song so they would all hear it, because I’m not in touch with them." With that in mind, here are the most poignant "Hello" lyrics, ranked by how intensely they give you the feels. 11. "There's Such A Difference Between Us And A Million Miles." "And a million miles" almost seems like an afterthought, emphasizing how great that distance is. 10. "I've Tried To Tell You I'm Sorry For Breaking Your Heart, But It Don't Matter, It Clearly Doesn't Tear You Apart." There are few worse things than feeling compelled to apologize to someone, only to realize that you can't even hurt them anymore. 9. "I Hope That You're Well." A simple statement, yes, but a formal thing to say to someone with whom you used to be close. 8. "But When I Call You Never Seem To Be Home." Even when she's reaching out to him, you can't contact him. 7. "I Must've Called A Thousand Times To Tell You I'm Sorry For Everything That I've Done." Yet no apology will comfort her. 6. "I've Forgotten How It Felt Before The World Fell At Our Feet." This marks the passing of time and an era to which she can never return. 5. "Hello From The Outside." And she can never get back in. 4. "They Say That Time's Supposed To Heal Ya, But I Ain't Done Much Healing." The hardest part of moving forward is when you can't move on. 3. "I'm In California Dreaming About Who We Used To Be, When We Were Younger And Free." This really hits home regarding the nostalgic themes of the album. 2. "Did You Ever Make It Out Of That Town Where Nothing Ever Happened?" Again, the contrast to being a young person with dreams and an adult faced with reality is so sad. 1. "It's No Secret That The Both Of Us Are Running Out Of Time." There are few things more poignant than addressing mortality. 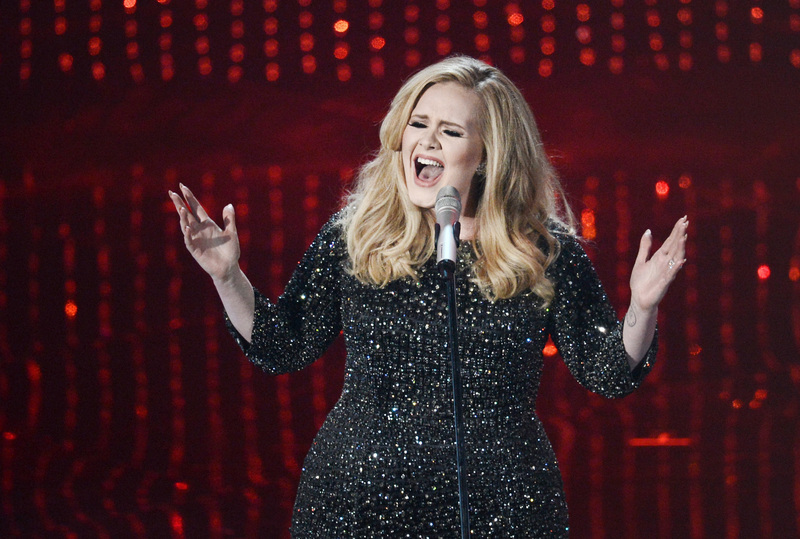 Adele, you continue to break our hearts again and again.